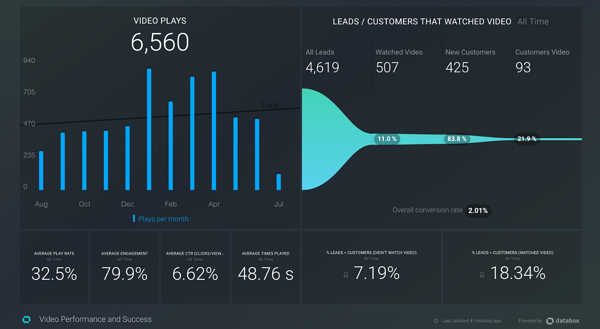 Wistia is a video hosting software that allows us to track the performance and actions of our customers’ videos, helping us to optimize for higher engagement and conversions. The Wistia + Hubspot integration helps us understand the impact of video on our inbound efforts by showing us the influence that video has on our customers’ buyer’s journey.  As an agency, we are always looking for ways to analyze a more complete picture of our marketing and sales efforts. Wistia helps us connect the dots. 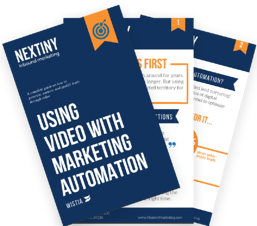 Video is now a part of every new retainer and an integral part of Nextiny’s overall marketing strategy. Related Blog: Want Your Business to Grow? 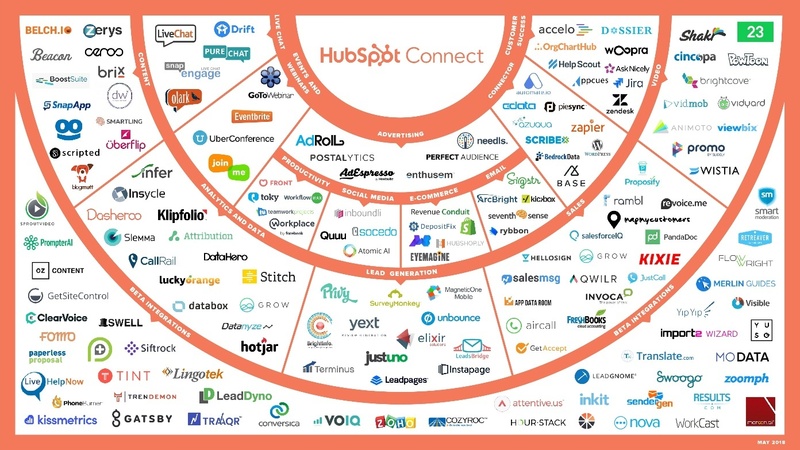 HubSpot is not Enough Anymore. Try the Ecosystem. All of your videos can be hosted in Wistia and then embedded into your marketing efforts. This includes website pages, emails, and landing pages. You can then track how many people are watching your videos, which parts of the video they are watching, and which parts of your video are losing viewers. These reporting capabilities allow you to optimize videos over time for engagement. You can also add calls-to-action inside the video, during the video, or at the end, as well as forms to convert directly from the video. You can track clicks and conversations from video efforts allowing you to optimize videos for conversions. Believe it or not, videos on your website help your SEO efforts, not only because more time on-site means more ranking, but also (if done right), because the text assigned to the video (title, description, keywords, captions, transcription) becomes part of the page that search engines, like Google, can read. Wistia is optimized so that Google can review your video content and assign it ranking more easily than ever before. Wistia’s player, Vulcan 2, is twice as fast as Youtube, making it a great choice for UX and SEO reasons. Soapbox, one of the tools that Wistia provides, allows you to create simple videos from your computer. 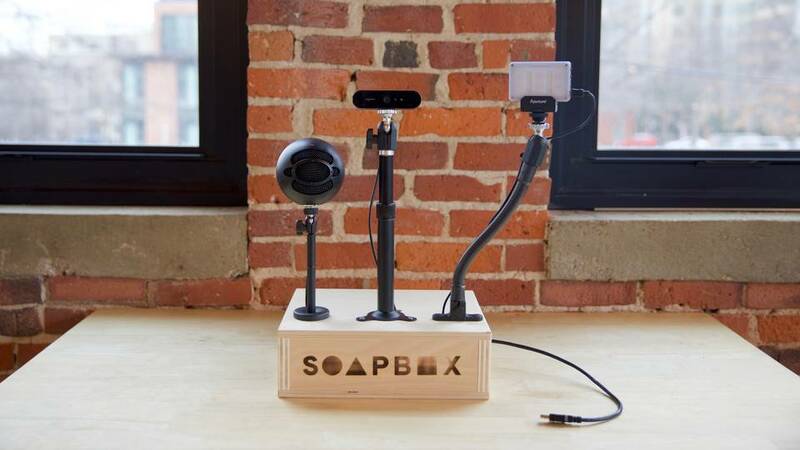 Soapbox allows you to record yourself using a webcam and record your screen content simultaneously. 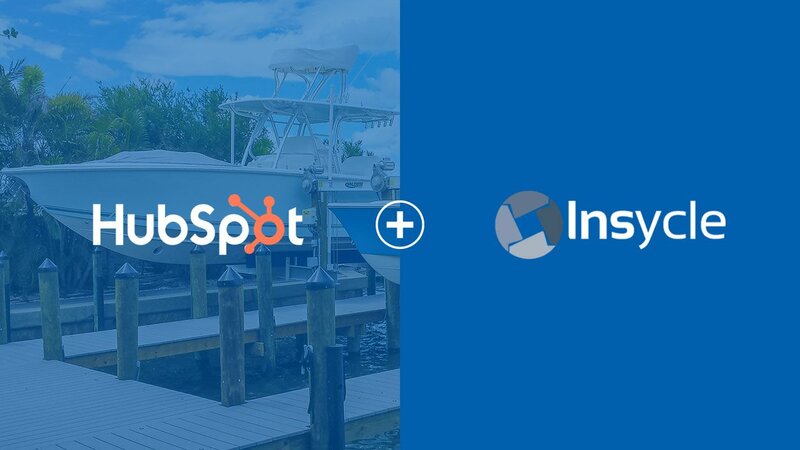 The HubSpot-Wistia integration gives you important data about how your leads are watching and interacting with your videos, all inside HubSpot. You can run workflows filtering by how much someone watched a video (25%/ 50%/ 75%/ 100%) using that as trigger. These workflows can help you move people through the funnel providing specific content and actions depending on how your leads interact with your videos.  You can also create lists triggered by actions from Wistia videos from inside HubSpot. Wistia also allows you to embed HubSpot forms inside videos directly from within the tool. What Services Can Agencies Provide Attached to this Integration? Video Service: Support, knowledge base, customer delight. How Does Wistia Provide Value For Customers? Wistia can help your customers understand the value of video, which videos are performing the best, and how to get the most out of video. 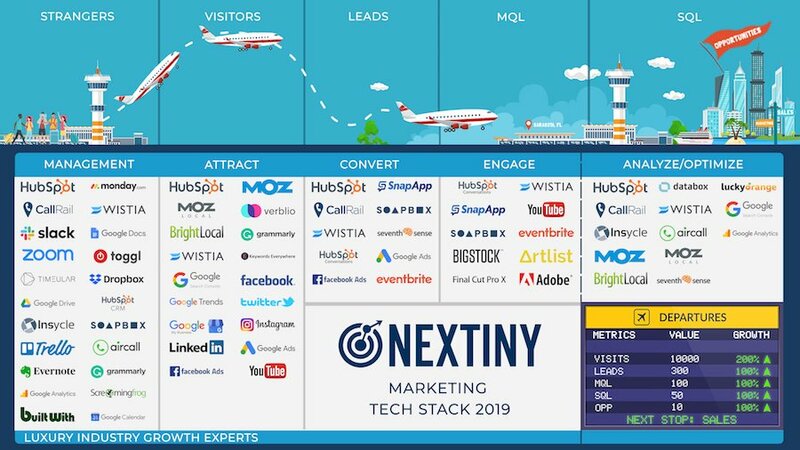 You can also connect the dots between marketing efforts and your videos to see how video affects leads and moves them through the funnel. Videos streamline the content creation process. If you create video first, you always win. If the video is not the best quality, you can use the sound (+ b-roll) and if even the sound is not good, you can use the text that comes from the video. It is a lot easier to get someone in front of a camera than to get them to write an article/blog. PRO TIP: Get your sales team and your support teams in front of the camera and ask them questions like, “what are the five questions you get every day?” These should be your first pieces of content. Then, get your engineers or experts in the product/service that you sell/provide and ask them to describe why people should buy your product, what differentiates you from your competitors, and what are the most important questions that these customers should ask when talking to your competitors and why. Then, get customers in front of the camera to give you testimonials. These initial pieces of content you create from your first videos will open conversations to create much more in the future. Install a Soapbox station in your office and encourage everyone to record videos on a daily basis. How Does Wisita Help Agencies? Video has an incredible perceived value, when you use tools like Wistia integrated into HubSpot, you can also prove its real value. If you add video to website pages, you get improved SEO and a better UX. If you add video to email campaigns, you get better opening and click through rates. With social posts and ads, you get more conversions, etc. by using video. 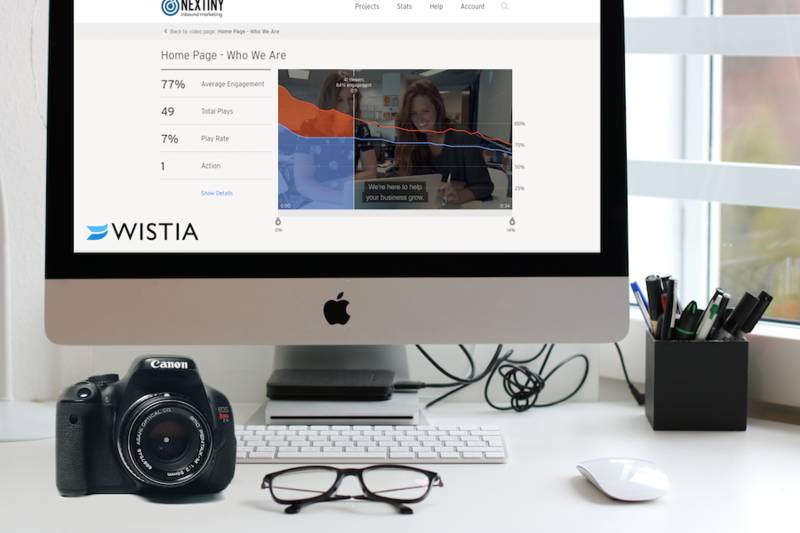 Wistia can help you provide these services and show you how you are generating more success from video efforts. At the same time, you can help customers overcome the myth of video being difficult and expensive. Once they see the results from video efforts, most people understand that not every video must be a big production. 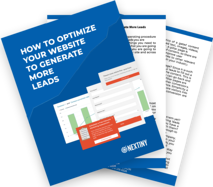 After running campaigns with video for a while, you can show how leads are turning into customers, how your sales process is shorter, or how video is keeping your customers happy. Wistia has a very knowledgeable team and many resources to help you learn how to create video from scratch. Who Are The Clients That This Integration Could Help? Video and Wistia can help everyone. Wistia offers a free account option that can help you start with smaller accounts/projects. Their bigger packages are reasonably priced as well considering all they provide. How to Sell / Upsell With Wistia. Providing some video services for free, creating free Wistia accounts for your customers and showing them how you can optimize videos and increase views, clicks, and conversions over time, works really well when trying to upsell your customers into video services. 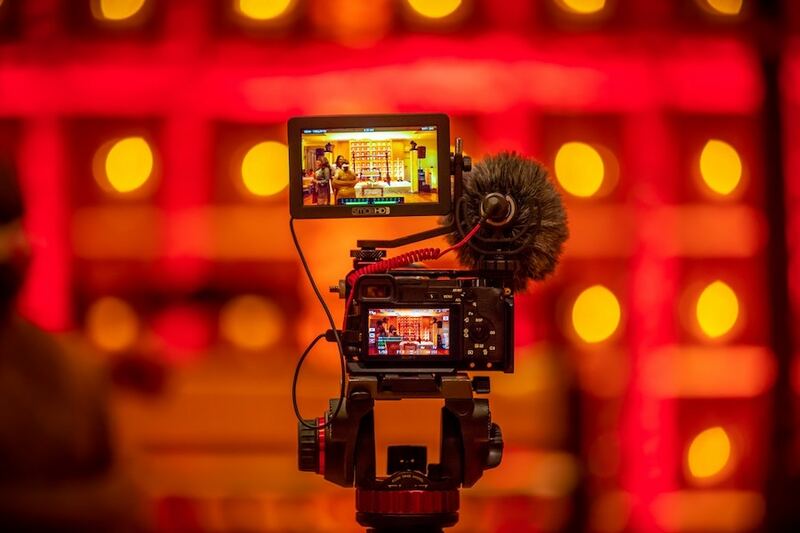 When companies see the power of video through these tools, it is very easy to have a conversation about implementing the services associated with it. Quick wins with video are very easy to find. Also, the perceived value of video is so high that most people already understand that this is going to help them. Using Wistia for more than 2 years.  We are Wistia Platinum Partners. Wistia provides a comprehensive learning center with videos, blogs, guides, and white label material you can provide on your website, and much more. You can pretty much learn how to do video and how to use it for marketing and sales from scratch with their educational content. The more involved you get and the more you use the tool, the more resources you get from the Wistia team. Their sales and technical teams will help you keep generating successful video content for your customers. Does Wistia have a partner program? Yes.  Here's more information about the Wistia Partner Program. Main dashboard to control multiple accounts? Yes. You get access to all of your accounts with one login. Also, the bandwidth and amount of videos you get for each account are all added up so that you can use them for all of your accounts, instead of being limited per customer.  Yes, they have a great integration with Databox which allows you to run even more in depth reports with data from HubSpot and Wistia. They also integrate with Google Chrome, Zendesk and many other marketing, sales and service tools.